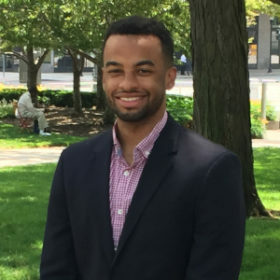 As an Entrepreneur Selection & Growth Associate at Endeavor Detroit, Darren supports Michigan’s entrepreneurial ecosystem, by leading entrepreneurs through the Endeavor selection process, which enables entrepreneurs access to a global network of mentors and resources. Upon graduating from Carnegie Mellon University, Darren started his career in New York, as a Cyber Security Consultant at Deloitte, where he advised clients on best practices as it pertains to protecting their information assets. After Deloitte, Darren joined Green Collar Foods, a Detroit AgTech startup, as the Director of Operations. There he developed and implemented a technical strategy to help augment growing efficiencies for owners and operators of indoor growing facilities. When not engaging in his passion towards supporting entrepreneurs, Darren can be found mentoring youth in tech or competing in some quality basketball pick-up.